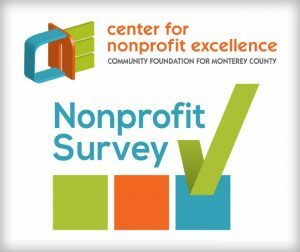 This anonymous survey is part of an ongoing, comprehensive evaluation of the work of the Center for Nonprofit Excellence (CNE) of the Community Foundation for Monterey County. The purpose is to better understand how the CNE’s work with capacity building is affecting nonprofits in our region and what we might do to strengthen this work. The Center for Nonprofit Excellence surveyed 136 nonprofit staff and volunteers about changes they observed over the last year in their capacity and ability to do their work and areas they would like to improve in. Improvements were reported in 82% of organizational and personal ability areas. 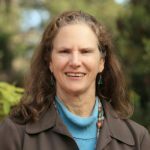 The Nonprofit Survey also pointed to themes of fund development, board recruitment and development, and building strong staff support as areas that nonprofits wanted to work on. Overall, respondents saw the work of CNE as Somewhat Useful (mean score of 3.96 of 5). We will work in concert with other entities that support strengthening nonprofits’ ability to deliver on their vision and mission. Our core services include providing professional development, consulting, informational resources, grantmaking and peer learning opportunities to Monterey County nonprofits, while building collaboration between local organizations that support capacity building. CNE’s work contributes to the fulfillment of the vision that Monterey Bay region nonprofits’ combined work results in healthy, safe, vibrant and inclusive communities.